I just couldn’t get the colour right. The colour and style had to work for both my brother and his wife, and this proved surprisingly tricky. I wavered off the path and considered a knitted blanket instead, as with thicker wool it would have been speedier and warmer in the winter, but again the colour was a problem as I wanted more variety than was available in the chunkier yarns (you can see one of the attempts in the yellow basket below). 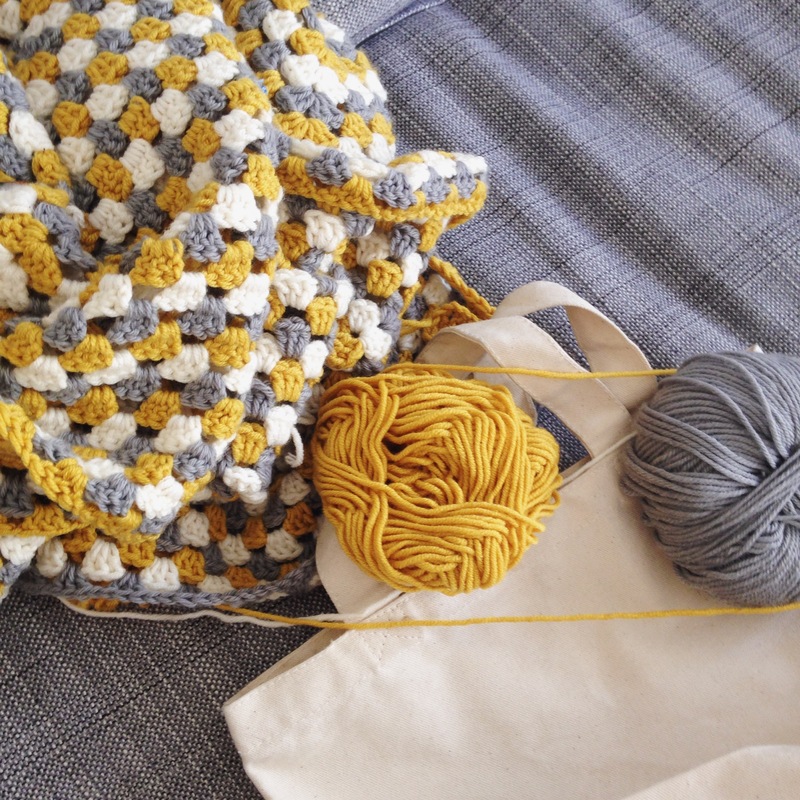 Eventually I became so frustrated that I got despondent, until one day I was playing about with different yarn on the sofa when I started just casually crocheting a granny square. Suddenly, from the crazy pile I had next to me, there emerged the three colours I wanted to use and hey presto! 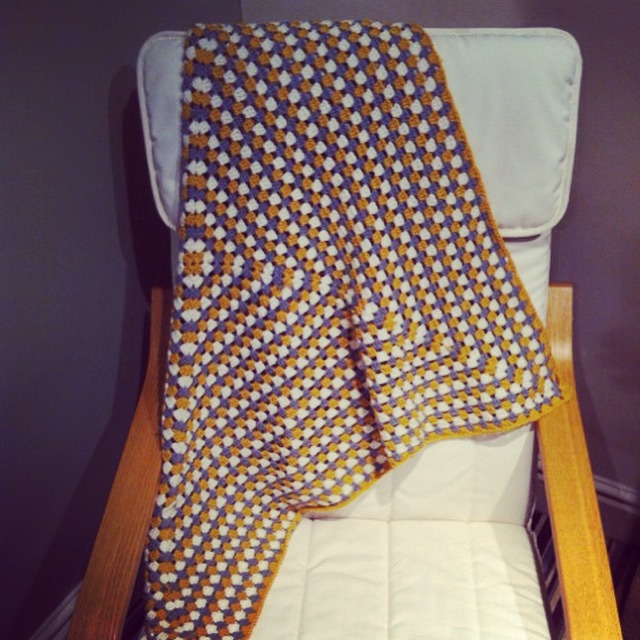 The blanket went everywhere with me over the next six months – from the UK, France, Denmark and Sweden to picnics, movie nights and nights in with friends. It nearly got lost in a hotel in Sweden and it was a beast by the end but I was proud when it was finished. It felt strange to finally let it go and declare it complete, but I think it looks good in their home, what do you think? The only problem now is that I don’t know what to do with myself during the usual crochet blanket time. I’m always working on my next Weaving Kind assignment (more on this to come and if you haven’t already, do check it out!) but I feel lost without my big, on-going WIP. It’s like I have a blanket shaped hole in my life. Has anyone else experienced this?! I also gave myself RSI (I was either overdoing it or holding my hook wrong) so I can’t even just start another blanket. Hopefully inspiration will strike soon! This entry was posted on 08/09/2015 by hedanni (Danni Haughan) in Crochet and tagged Blanket, Craft, Craft Blog, Crochet, wool, Yarn.